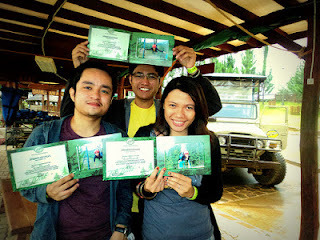 Today, we conquered Asia's longest dual zipline at Dahilayan, Manolo Fortich, Bukidnon. I am no adventurous person but zipzone was a very intense yet enjoyable ride. 600 pesos for all the three rides - the longest was 840m. It was breathtaking. Plus, the place was cold and very lovely. This was truly a memorable experience.